Make Your Own Comic Book With, What Else.... ComicBook! 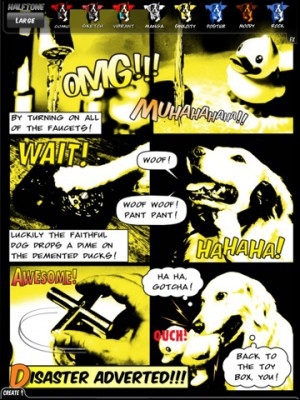 "3DTOPO Inc. has released their new comic book creation app, ComicBook! After designing your realistic comic featuring you and your friends, you can tag everyone and share to Facebook." I like these comic book apps, I'm just not witty enough to make the dialogue interesting. How about you, ever use one of these apps, or this particular app? Any thoughts?